Featured! Louie's Loops Home | About Us | Opportunities | Sponsorships | Contact Us! This week we had the joy of speaking with Louis from Louie’s Loops. 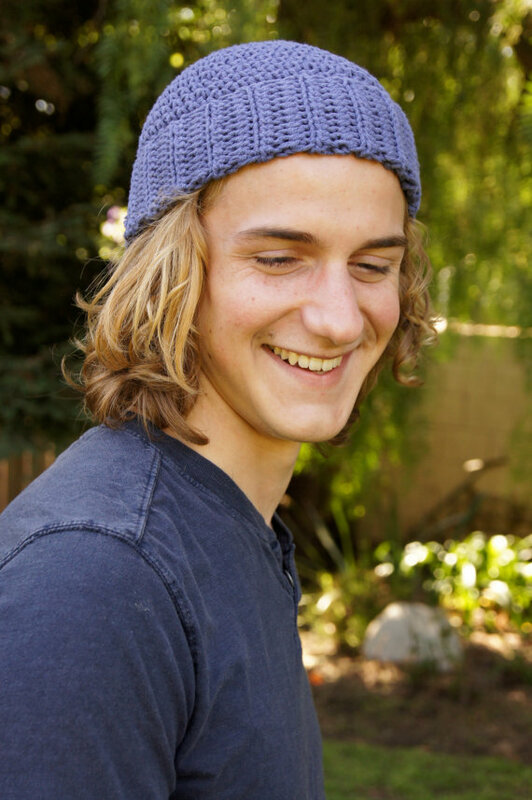 Louis is another addition to the growing realm of crochet, or brochet artists, and his work reflects a masculine design that doesn’t cut back on playfulness and fun. Join us as we put Louis in the hot seat and find out about his work, his, inspirations, and what’s ahead for Louie’s Loops! Welcome, Louie! Thanks for taking time to talk with us. My name’s Louis and I created Louie’s Loops – a blog and shop where I post new crocheted creations I make, and the patterns to go along with them. 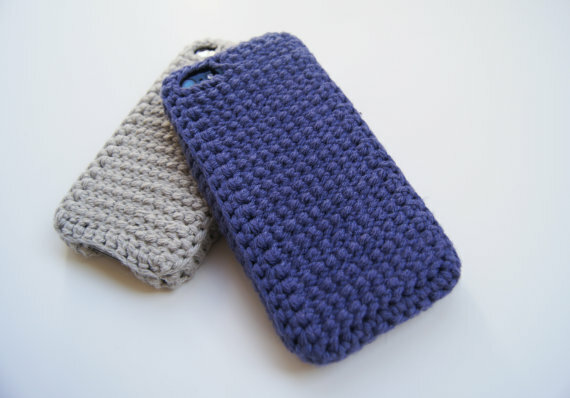 I mostly focus on wearable creations like hats, gloves, and scarves, but recently I’ve come out with new stuff like iPhone cases. Your work is really interesting, and you’re making designs that we haven’t seen anyone else do. What got you started in crochet? I started brocheting, I mean crocheting, in high school. I learned the simple stuff online, and then made the rest up when I needed to in different hats. Today when I look at some of the things I make, sometimes it’s the “wrong” way to make it, but I love the look of it and I feel it gives them a personal touch. You do some pretty unique things. What inspired your work and your creative process? I get a lot of inspiration from people around me. My girlfriend is always coming to me with new ideas for different crocheted things and is really important for giving me a sense of what to make for certain audiences. As a guy who creates by hand, why do you think it’s important for men to support handmade? Here’s the thing with buying and making handmade. Those of us that delve into the DIY get the amazing feeling of making something that one can only get from hand making something. When buying handmade items, not only do you know for sure that the thing you’re buying was made with tons of time, effort, and thought put in, but you’re personally supporting the person that made that item. It means so much more to get something that you know the time has been put in specifically for you. 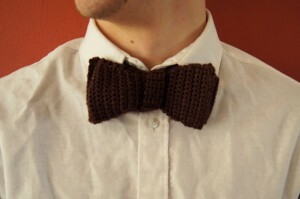 Men need to further embrace the artisan crafts. Crocheting may seem a little feminine at times, but honestly, it’s so awesome to be able to wear or give someone something you’ve made with your own hands and created with your own mind. 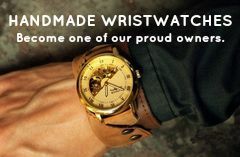 The people featured on this site are proof that handmade things are not only for the women out there. Do you have any new plans in the works for Louie’s Loops? So many plans for the future, where do I start? I don’t want to spoil any surprises so I’ll be somewhat vague, but I’ll definitely be focusing further into ‘nerdom’. I have pages filled with ideas that I can’t wait to implement. I want to create a book soon of patterns for almost everything I’ve made in the past. 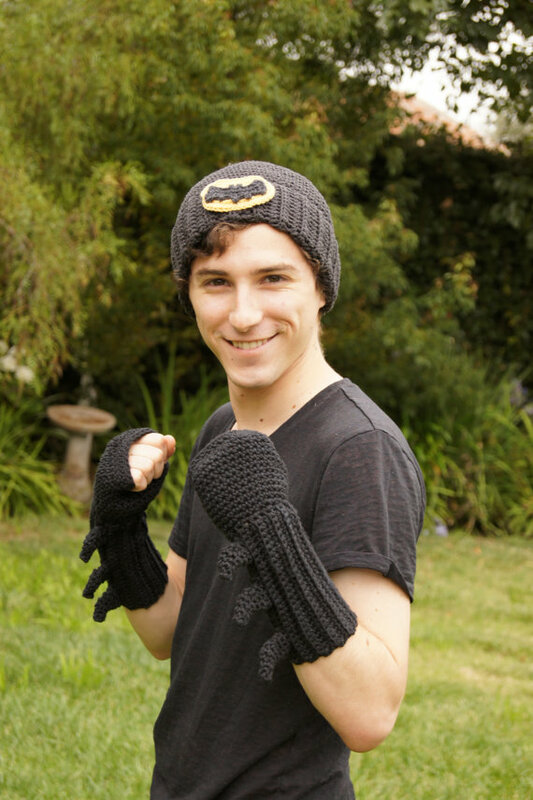 I also am planning on creating more things specifically for men beyond the novelties of themed gloves, but I assure you, there will be more themed gloves, too. I’m very excited for the future as I become more and more involved and experienced in my craft. Do you have a favorite quote that keeps you inspired and motivated? Hanging on my wall above my bed is a quote from Dr. Seuss that reads “Be who you are and say what you feel, because those who mind don’t matter and those who matter don’t mind.” I think this is really important to the path I’ve taken, because if I shaped myself to what I thought people liked, I probably wouldn’t be where I’m at today. Tagged Crochet, etsy, Louies Loops, Nerd. Bookmark the permalink.